The creators of SpringShire are longtime champions of a purposeful approach to wellness. More than just physical fitness, wellness is seen as a multi-dimensional state of being. SpringShire in Greenville, NC will have services, amenities and activities that enhance and celebrate wellness and good health in every dimension—intellectual, spiritual, physical, social, emotional, nutritional, vocational and environmental. A daily focus on wellness at SpringShire will start in our Commons—a true, state-of-the-art wellness center. 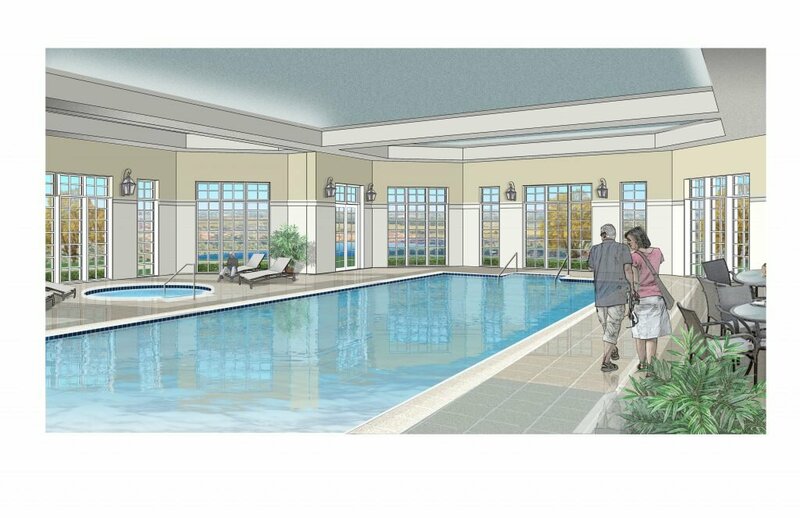 Inside our front-porch-friendly, manor-style Commons you’ll find a heated indoor pool, state-of-the-art weight and cardio equipment, and dedicated rooms for exercise classes. Beyond fitness, the Commons will offer delectable dining in a bistro setting, card rooms, a large events room, a hospitality bar and a theater area. It will be a place for like-minded folks to get together in a spirit of wellness and camaraderie.